Darwen had one of the first steam tram lines to operate in the whole the the country, opening in 1881. It was run by Busby Carson & Company under the name ‘Blackburn and Over Darwen Tramway Company Ltd’. The name is still remembered in the town today, as it’s painted on a mural by the side of the tramway turning triangle. The turning triangle enabled the tram to be turned around to face the way it had come from, cleverly maneuvering in a small space. By driving forward on the left hand track, it could then reverse back out on the right hand track to face the direction it had come from (see picture to the left). The Ordnance Survey map of 1890 shows that there would have been a shed over the far end of the triangle, probably where we can see a modern wall today. Here the line ran for another 10 metres further back, but this section is not now exposed. At the far end we can see a wooden hatch that covers an ash pit. 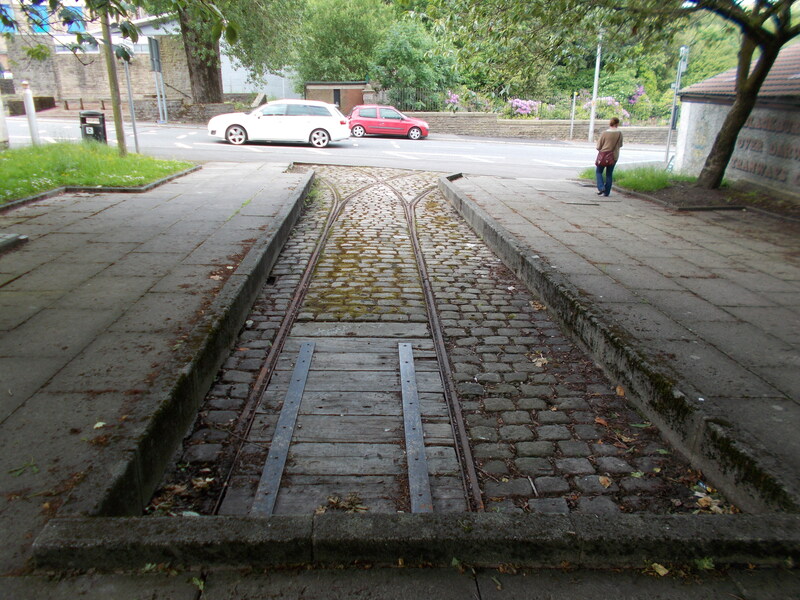 The conserved tramway is 13.8 metres long, the rails are 1.3m wide and the original stone sets (cobbles) are still on show. In 1898 Darwen Corporation took over the running of the tramway and converted it to an electric line two years later. This was overseen by the then mayor of Darwen, Dr. James Todd Ballantyne who lived at Holker House (see our page here). In 1901 the line was extended to Hoddlesden. It seems incredible that the steam version of the tramway only lasted nine years. Within the next twenty years the electrical trams themselves were under competitive pressure from the new buses. 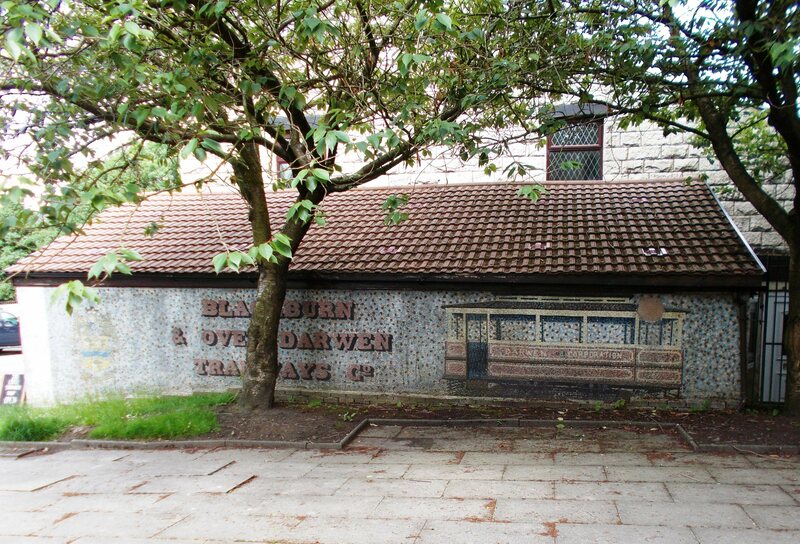 Twin public tramway waiting rooms (or shelters) were opened in 1903, and can still be seen in the centre of Darwen today. Constructed from sandstone in early Edwardian ‘baroque’ style, each is topped by a copper dome now showing the familiar green ‘verdigris’ colour. One of the buildings was for women and the other for men.The ladies room had an internal entrance that led to toilets, while the gents had an external toilet entrance. At the back of the mens was the tramway parcel office. With buses becoming increasingly common, by 1939 only four tramlines remained. The trams continued to operate through the second world war. 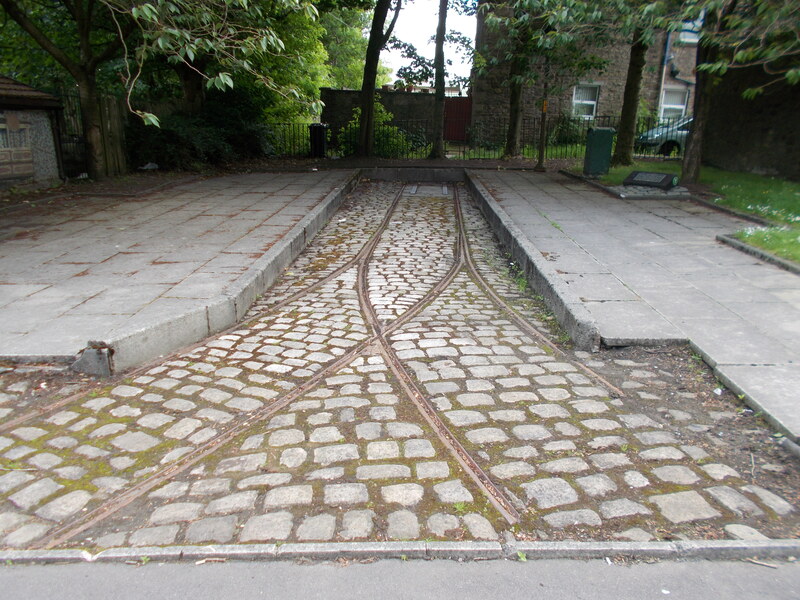 Darwen corporation asked the wartime government to close the tramway, but the request was denied. The reprieve was short lived though, as the last tram ran in 1946, with the mayor and mayoress giving out souvenir tickets. In 1977 the tramway turning triangle was scheduled as an ancient monument. The waiting room toilets remained open until 1988. Today the twin buildings are still as impressive as ever, and would suit businesses that could take advantage of their small but grand construction. 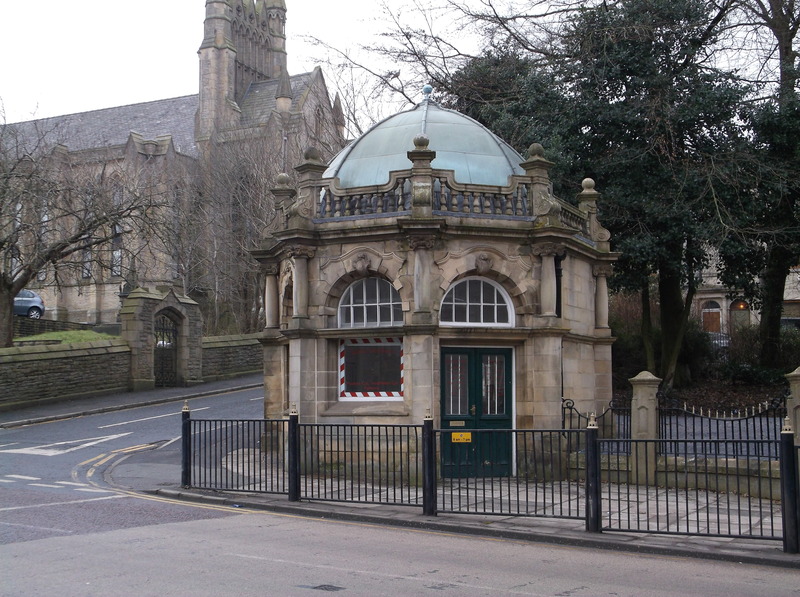 The twin shelters are just off Belgrave Street on the main A666 route through Darwen, right in the centre of town. The turning triangle is located up hill on the same road as you head out to Bolton. It’s a bit of a steep walk to get to it, but if you do go on foot then you can take advantage of seeing Darwen’s famous India Mill chimney, and some of the Victorian mill machinery (to see the blog post on these click here). 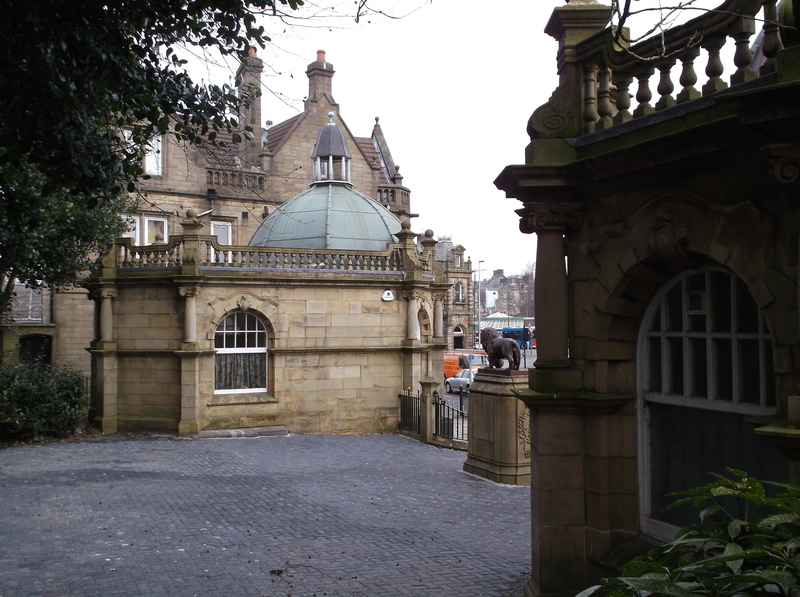 To see the tram waiting rooms, park in the city centre and then head out to the main street through Darwen. The buildings are just at the junction with Belgrave Street (in Belgrave Square). To see the tramway turning triangle, follow the A666 up the hill past India Mill chimney and you’ll see it after about a ten minute walk on your left. Alternatively park on Cemetery Road near the Knowsley Road junction.